Like Walt Disney said, “That it was all started by a mouse,” …..Belegenza was started by a conditioner! Client “BYOB” Brings Her Own Belegenza to a top celebrity New York Salon and WOW’s the colorist. Salon owner calls Alan & Cheryl and demands Belegenza to join him as his team preps 2008 Oscar Awards Celebrities! That was Belegenza’s start into fame! 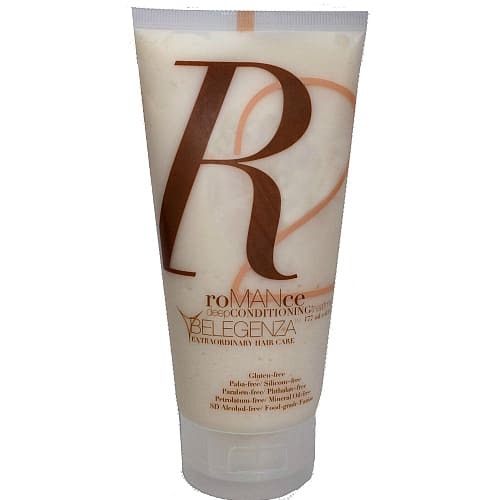 No matter what condition, remarkable improvement is certain by using RoMANce Deep Conditioning Treatment! No matter what texture or type, this new world of premium food extracts, free of chemicals, now satisfies hair, the owner of that hair, the stylist and adoring onlookers every time! • Optimizes & balances hair color undertones for spectacular color vibrancy! Consider the smoothie and cold-pressed juices. Packed with organic goodness, they provide energizing, body-loving nutrition from the inside out. You know how good you feel after a great workout by revitalizing with cold-pressed juices and smoothies! Now, multiply that times ten!! Experience what “hair connoisseurs” know! RoMANce Deep Conditioning Treatment…blended from perfect extracts of a whole array of organic goodness, without chemicals for an exclusive & unique conditioning treatment that truly delivers what you and your hair really want. Of course, you know the difference between soft drinks made of fruit flavors and actual cold-pressed fruit juices! You obviously choose perfect, fresh, whole foods to replenish yourself after a powerful workout, not flavored, conventional drinks masquerading as real foods, right? Rather than settling for average and normal salon products, you pride yourself in reaching beyond and outside the box for the best life has to offer, because you deserve it. By now, you know on many levels that major brands feature a few drops of Argan oil, Morrocan additives, or “the latest fancy ingredient” in the usual synthetic base in a fancy new bottle. Of course, you realize it is diluted down and comes with the same disappointment as the other brands you’ve spent your money on! You also know that if you expect results, you will have to step outside the box, and trust something innovative and new. Like the creators of Belegenza, Alan & Cheryl did, you will have to exit the norm and step into this whole new realm of beauty products that leaves behind silicones, petrolatum, gluten, parabens, mineral oil, salts and sulfates. Not only that, just natural and organic is not enough, either, when you learn that even those ingredients can be too large to penetrate your microscopic damage sites for hair conditioning perfection! You now realize that RoMANce delivers pure ingredient extracts that perform beyond anything on the market, every time! You also realize that this kind of excellence is meant for people, like you, who demand the very best. With so much to SAY about this incredible conditioner, it works in unique ways for every hair type, and there are just not enough words to describe it completely, given its startling ability to adjust to your hair type and needs each and every time you use it. For example, like trying to explain the taste of chocolate to someone who has never tasted it, no explanation or comparison will accurately give you the taste experience of chocolate… At some point you must experience the taste of this chocolate! PERIOD! So, for you and your hair to have the full experience, ultimately, you will have to finally and actually experience it fully! Now, back to its uncanny ability to adjust to your hair type and need, every time, if your hair needs more moisture on this day and more strength on that day, your hair will attract and absorb the most important elements at that moment, resulting in hair perfection day by day, week by week, season by season! Imagine having longer, stronger, thicker, more responsive hair all the time! Do you want promises of great hair or do you want this actual delivery of great results in your hair? If it’s results, you are in the right place. You will know for yourself, after the very first use! Results and excellence that gets noticed by onlookers everywhere will give you an exhilarating feeling of confidence. Now, when your hair feels and looks vibrant, healthy and responsive, everything feels right! Don’t you deserve hair that feels vibrant, full of body….rich and luxurious? Of course! A Naturally Vitamin-Packed Formula that you want, now! Leave the world of chemicals behind…. Silicones, and petrolatum, mineral oils and such are VERY good for cars, but hair is a part of your living, breathing body! Doesn’t it make sense to use ingredients that are compatible with your living, breathing body? This is WHY Belegenza is so extraordinary and effective! Not just one living, breathing ingredient in a chemical base….a complete collection to deliver to your hair an unprecedented recipe that satisfies and pleases all the time! Crafted with an exclusive and proprietary formula containing coconut extracts, honey, jojoba oil olive oil, aloe and vitamins B2, B6, B12 and E, every ingredient in RoMANce is specifically blended in a distinct ratio to powerfully manages your hair’s natural moisture levels, strength and pH balance – resulting in silky smooth, totally touchable shine that you always want. With superior strength and visual appearance, the world now recognizes that your hair is refined and of the highest quality. By virtue of this subliminal signal and obvious improvement, everyone now will know that you deserve the best, and as a result, the world recognizes you more fully with compliments, respect, and gives you more of what you want on a regular basis from RoMANce! Rich hair gets richer! By virtue of its weightless, naturally-nourishing formula, RoMANce is a must for color-treated hair, too. By restoring the hair’s natural oils and strength, you realize after the first application, your hair is more manageable and remarkably improved, and as you continue to use all the time, you gain more and more benefits each and every use! What’s more, RoMANce Deep Conditioning Treatment contains no harsh chemicals, overwhelming scents or parabens, making your hair stronger and healthier. With no fillers or artificial ingredients or common “nasties” (gluten-free), your hair benefits down to its core as it weaves throughout each and every strand. And, yes, even gluten-FREE, all the ingredients are specifically targeted to nourish your hair organically without any of the chemical “nasties,” like dimethicone even found in other so-called natural and organic products. By carefully crafting multi-faceted ingredients, these “layered” elements are designed to now absorb into your hair according to your hair’s porosity ( ability to absorb ) . Each needed ingredient infuses what it wants at that very moment by self-adjusting to your hair’s needs. You now experience perfect balance each time you use it. See and feel why customers around the world have fallen in love with our exotic, natural formula. Tame even the most demanding mane without the need for phthalates, parabens, silicones, mineral oil and other synthetic ingredients. Watch as your hair is transformed into silky-smooth, touchably soft and luxuriously attractive tresses. Your hair will command attention giving you what you want – confidence and the advantage – ready for the day ahead. As part of your normal shower hair care routine, Romance’s power packed ingredients self adjust so that you enjoy day-by-day improvements from the very first use. What makes Romance Deep Conditioning Treatment so effective? It’s made from REAL ingredients, not artificial ingredients. Real apples, real lemons, real aloe vera. How would you feel if your smoothie was made of candied apple, orange soda, lemon drops and high fructose corn syrup? Put this in a beautiful plastic big gulp cup, put beautiful pictures of apples, oranges and lemons, and you’ve got the equivalent of name brand products from drug stores and most salons! Don’t you want the real thing? Don’t you want purity and perfection? Don’t you deserve the best? This is why Romance is the perfect conditioner you want now? Romance Deep Conditioning Treatment creates a level of perfection only the most discerning people, like you, demand. Want All Day Strength and Shine? Want to speed up the deep conditioning effects of Romance with a leave in miracle? 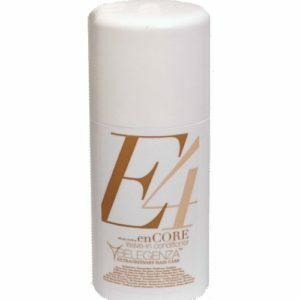 EnCore Leave-in Conditioner allows the hair to lock in the natural benefits as you style your hair (blowdryer heat increases penetration of this restorative blend). Whether you are blowdrying or leaving to dry naturally, your hair will absorb more of what it needs, each day getting better and better. Like Romance, its self adjusting formula satisfies more and more as it fills the damage sites, and delivers perfect moisture levels for your hair. Imagine the ends of your hair being as shiny and strong as the new healthy hair at your scalp. Each time you treat your hair with Romance, your hair drinks in what it needs most at that time. It begins with pulling the strength ingredients, the next time it will pull more of the moisture balancing ingredients. Once the moisture is balanced, then the shine ingredients begin to enhance the inner glow of your hair. No longer is your quest for luxurious hair the focus. You now have luxurious natural hair. You feel good about your hair, and you feel awesome that you did it with the natural good-for-you perfection of Romance. New style or cut that’s not quite right? 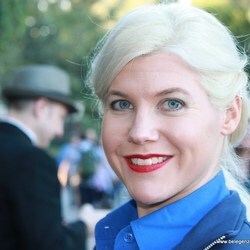 Romance will make it feel better by insuring that your hair’s condition is perfect while you figure out your next move. When you know your hair is the best quality and condition it can be, you feel better as you grow it out with Belegenza and refine the look. Return to Romance to get back that perfection now! When I found Belegenza, I had short bleached blonde broken hair, overweight and single. Now, my hair is long, luxurious (past my shoulders), I feel amazing about myself, was inspired back to my college days weight, landed a most satisfying career position and even THE man! ….Thank you so much, Belegenza! ~~Cynthia C.
RoMANce intelligently manages structural and moisture levels by using the latest technology to extract the most effective parts of botanicals. Not only are the extracts proven by cultural experts, Romance is not dependent on one magic ingredient. It is based on a particular and unique combination of many potent ingredients. Like certain foods that taste good together, like basil and tomatoes, pineapple and coconut, avocado and lemon, rosemary and thyme, sesame and ginger, certain ingredients work together to tantalize the tastebuds. Taking the best of each cultural favorite for hair conditioning, RoMANce pulls together benefits of many cultural favorites for healthier hair, stronger hair, vibrant conditioning! REAL aloe vera extract, REAL honey extract, REAL Hawaiian sea extracts, REAL coconut extracts, REAL olive extracts, REAL gluten-free extracts and the list goes on! Because of each ingredient’s different role, and molecular size, each addresses the damage sites of your hair for unprecedented repair and conditioning! Never before has there been such a unique combination of global resources for your hair! Each culture believes in its specialty ingredient, yet Belegenza is the only product that brings the best cultural beliefs together. Like world peace, Belegenza brings the world of hair excellence together and you can now experience a perfect world “in” your hair! Bringing the strengths of each culture together to heal your hair, it’s no wonder RoMANce generates an unbelievable shine, strength, moisture balance and response all the way from your scalp to the tips of your hair. By now, you realize this is the most unique conditioner in the world. By now, you realize this is your new beauty must. AND, you want to know that you are doing your hair a favor and are doing the right thing for your hair and your self. You will soon feel the difference and understand why it is a favorite of the elite. You will realize why artificial product companies have to pay millions of dollars to celebrities to promote their fake products. They are paid to say what they say, and they hope you believe the script they’ve been given to “act” out for you! Belegenza spends its resources on real ingredients, making real products, with real results for real people like you who are refined and selective enough to choose these products… the best. Romance is for people like you who trust us to go beyond convention and create incredible products out of real ingredients you can count on. Once you try the other “natural” organic products, you will return to RoMANce for that feeling of a fresh new start, a feeling of good for me/good for the world, feeling of being loved now, and hair that looks and feels fantastic in every way. Craving the “ULTIMATE smoothie for your hair, now? Gourmet food is expensive. Junk food is cheap. Junk food tastes good, and you know junk foods are not good for you. Don’t you think it’s time to step up your game? 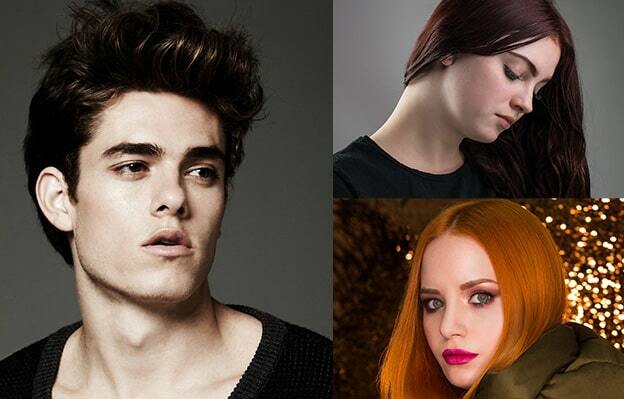 Don’t you think it’s time to feed your hair correctly? Isn’t now the time to use real products on your hair? Order RoMANce Deep Conditioning Treatment now. Scroll up and click the add to cart button now to rush what will be your best conditioner ever! Sure it’s fun to try new things from infomercials, from the drug store and TV commercials, and the TV shopping networks. You don’t want to worry about how safe they are either, right?! By now, you’ve tried them all. Deep down you know that these are made of artificial ingredients and chemicals that are ultimately not good for you, or good for your hair. Plus, it doesn’t take a rocket scientist to know that most of the cost of the fancy products goes to paying for the beautiful packaging, advertisements, TV spots, and commercials themselves. When you realize it’s time to do the right thing, RoMANce Deep Conditioning Treatment gives you a fresh new start. You feel good about yourself because you’ve made the right choice. Real ingredients, real research, real results, brought to you by real stylists, who got fed up with chemicals and fancy fake products, too, and have now discovered and created the finest combination of ingredients that any hair type the best it and you can be! When your hair feels great and you walk with greater pride and confidence knowing your hair is the real deal, you also enjoy the compliments. When you love your hair and you love yourself, people recognize this and you enjoy more and more compliments. When they take a second look at you and ask what’s going on? You hold back with that inner smile, grin and say ” I’m being RoMANced and it feels great!” as you touch and caress your hair. By now, you realize that RoMANce is the right choice for you. Romance comes in many sizes. The 19 oz size is available once you realize you cannot live without it. It has a pump and loves to stay home in your shower or on the tub shelf. The 6 oz. tube, is the mainstay and the one that most keep displayed, and is the one that most order first. It also comes in a 2.5 oz. tube, for travel. This will be your must-have for your carry-on, and also to give to your best friends as a gift, stuff a stocking, or as a “win them over” gift, or thank you for watching my pet and watering my plants this weekend! By now you realize there is so much to RoMANce Deep Conditioning Treatment. Now is the time to get started. Add it to your cart, now, and find out what other fantastic products we have for you and your special hair requirements! Color Safe – Color enhancing, Mineral Oil and Petrolatum-Free, Salt and Sulfate Free, PABA and Phthalate-Free, Silicone and Acrylate-Free…… and even GLUTEN-free. Don’t lose out on having phenomenal hair for another minute! Overall I really liked this product! The smell was nice and it lasted all day. The conditioner is very thick. I would definitely buy this product in the future! I am a person who dyes their hair frequently. I get easily bored so I’m constantly changing the color of my hair. I use punky colors, so that requires bleaching and lately its been taking a toll. I’ve had the chance to use the RoMANce Deep Conditioning Treatment twice since I received it. I immediately noticed in my hair texture. RoMANce made my hair softer, shinier, and thicker. It even brought back some curl to my hair! The best thing is that you don’t need to use a lot of product to condition your hair. I would definitely recommend this product to anyone with colored, dry, or damaged hair. You will see an improvement right away in manageability. The smell was great, the thickness of it was perfect and it does what it claims. I would buy this product and tell my friends to buy it, because it works! This stuff is awesome..great smelling..feels refreshing on the scalp! I would definitely recommend this product! Romance Deep Conditioning Treatment Moisturizer does great moisturizing my hair, not too crazy about the smell though, it’s ok. It really moisturized my hair. If you have very dry hair this moisturizer will work wonders for you and make your hair shiny and silky. Overall it’s a great conditioner. It smooths split ends and gives your hair what it needs if it’s extremely dry. I have only had the products (Romance) for about a week. I use them every time I shampoo. I have had wonderful results. My hair feels healthy, has shiny and is super easy to style. I highly recommend these products! I have a lot of gray sparklers in my auburn hair and the Belegenza products (RoMANce)have done wonders in just one week. My hair is soft, bouncy and shiny. I’m letting my hair grow out a little and I’m hoping it will help keep my hair thick and less frizzy. Time will tell. Thank you for wonderful products. The first thing I noticed is that the products smell good. Then I noticed my hair felt clean from the shampoo and hydrated from the conditioner (Romance). I have thick hair and usually I have to rinse for ever to feel like all the product got out of my hair – but with these products I felt clean and rinsed and nourished. One of the reasons I first started using Belegenza (Romance Deep Conditioning Treatment) was because I had so much hair falling out. At first I was losing a lot due to peri-menopause I think but then I really started losing tons of hair when I started taking low dose chemo shots for rheumatoid arthritis. I was losing so much hair that I would end up standing in 2 inches of water in the shower and have to clear the drain. After 3 months of use, I suddenly realized I wasn’t standing in a tub full of water anymore when showering. I would have shared this great news sooner but I thought this must be a fluke. Now, after 4 months of using Belegenza’s Romance, I know I’m not losing tons of hair anymore! Thank you! You saved my hair!!!! The Romance Deep Conditioning treatment. It makes my hair look shiny and silky. It doesn’t look dull anymore. It seems thicker and it also easier to comb out. I will be using this product! This Deep Conditioning treatment helps my hair to be soft and it smells pretty good, helps to brush my hair much smoother and easier. I love the RoMANce Deep Conditioning Treatment! It is an amazing product that everyone should be using! It smells wonderful, and it leaves my hair feeling even better than the great fragrance. My hair tangles sooo easy and is such a pain but since using this product I can brush it without any pain or trouble. My hair is incredibly silky and soft. It is MUST have for everyone! I really enjoyed this conditioner ! It left my hair looking and feeling healthy and bouncy… not limp, dull or oily! Love it all! I had to keep my hair up in braids for a while to give it a rest and insure better hair growth. When I took the braids down, before I was to speak before the Natural Hair Symposium, it was so dry. I remembered how the Belegenza had made my hair feel so good all the time before, so I used the GrowOUT Shampoo and then left the Romance Deep Conditioner on for only 5 minutes. I rinsed it and was amazed at how good it felt! I didn’t even have to use the flatiron afterwards. My hair had shine, smoothness and was full of body, that bounced beautifully. Needless to say, I got tons of compliments! Thanks, Belegenza! I am really enjoying the product that my cousin bought me. I’ve had tangly hair all my life. It makes my hair feel thick and amazing when I comb my hair tangle free. Have stayed away from all my other products so I can see the results of your product. Love this conditioner, left my hair silky smooth. Did not have to use as many styling products after using this condtioner. My hair was manageabl and felt hydratede. My hair was smooth. When blow drying my hair, I didn’t have to use half of the styling products usually do. My hiar was conditoned and tame enough to leave some products off. I will be purchasing this conditoner and I would recoommend this product to my friends. Romance Deep condiong treatment is one of the finest condionters I’ve ever used!!! I enjoyed using this deep conditioning treatment. My hair is very thin and fine, so deep conditioning is a must, because it tends to break easily. I noticed after using this product a couple of times, my hair seemed stronger and less prone to breakage. My hair looked and felt really healthy after using this product, and I definitely have put it on my list as a must have. The RoMANce Deep Conditioning Treatment helped to revive my locks. This treatment left my hair feeling fresh and soft without weighing it down or feeling heavy. Love the natural ingredients. Many conditioners leave my hair too limp since it’s fine to begin with. but this one didn’t do that. It’s got a nice feel and scent and my hair felt soft and looked healthy after use. I would say that for me, this is one of the better conditioners out there and if you have thick hair I’d think you’d see excellent results. I love this conditioner!! this conditioner really hit the spot for my dry, damaged, colored hair. I noticed a significant decrease in split ends and overall smoothing of my hair after using this for a week straight. Recommend! This has to be the best conditioning treatment I’ve tried. It’s smells amazing and leave your hair feeling super soft and smelling the great!! I ran out of my Belegenza products last week, and returned to Goldwell. It seemed okay at first, but I’m stocking up on my Belegenza! It really is extraordinary. When are you going to get a reorder system set up? I need this badly! Oh My Goodness do I love the RoMANce Deep Conditioning Treatment. Thank you so much for your knowledge, insight, creativity and ingenuity. Wishing you both continued success in changing people’s lives! I liked this conditioner. I have sensitive skin that reacts to certain ingredients and I did not have a reaction using this. The natural ingredients smell amazing and I really did like it. Because its more natural it doesnt leave a film over your hair when you do a condition. This makes it lighter and less weighed down. This is exactly the product I need since normal shampoos and conditioners irritate my skin. This is a win/win product in my book especially if you have sensitive skin like I do. After months I am still using this product, the travel size was bigger than expected. It is really great and I leave a little of it in after I wash my hair. Love it. I enjoy using this deep conditioning treatment. My hair is very thin and fine, so deep conditioning is a must, because it tends to break easily. I noticed after using this product a couple of times, my hair seemed stronger and less prone to breakage. My hair looked and felt really healthy after using this product, and I definitely have put it on my list as a must have. I usually shy away from conditioners because my hair is fine. I have a lot, but it’s flat. I get hilites and that has always helped give some volume to it. I finally decided to try this, and I’m amazed at how it makes my hilites look better and it didn’t weigh my hair down AT ALL! In fact, it seems to be fuller, and just looks more like my hair did when I was a teenager. I’m impressed with it and love looking in the mirror again. I just want you to know that your products make my hair feel NOt like my hair and that is incredible. I have always suffered with tangles and with my long fine hair, it has not only been painful to detangle, but also has caused a lot of breakage. Since using it in my color applications, it seems as though it takes about a month before it starts to take on my usual tangly characteristics. I can’t believe that the conditioners stay so well for so long. Thanks for developing something that really works! And not only that, the fullness of my hair has never been better…..maybe that is partly due to the strength and the no more breakage factor! Thanks for giving me back the hair I remember from my youth! My split ends look so much better, they are virtually disappearing! It has been too long since my last trim, but thanks to RoMANce my hair still looks great and the shine is amazing too. RoMANce is my secret weapon. I have used RoMANce for years, and it’s constantly a staple in my shower. Before I began using Belegenza Shampoo’s this was the product I started using. Its especially useful the first few days after I have my hair dyed. But normally I use the product once a week, and on days my hair feels like it needs an extra injection of health! The product smells AMAZING and leaves my hair looking and feeling shiny and smooth. Using many styling aids it’s necessary to deep condition my hair to keep it healthy. RoMANce is wonderful at not only doing a deep condition, but it still allows me to style my hair without weighing it down. it’s a must have!